Just Published: Two ESOL Readers about New York City! "These are great books about New York City!" NYC Department of Youth and Community Development. These are the first-ever ESOL readers about the Big Apple, home to more immigrants than any other city in the world. Each book offers reading selections about New York City: its history and culture, getting around, where to go, what to see and what to do. Most of the topics are common knowledge to people who have grown up in New York City, but are new and interesting to visitors and immigrants alike. While written primarily for students of ESOL, both books can be useful to ABE-HSE and EL-Civics students as well. Each book provides vocabulary practice, comprehension exercises, grammar points and follow-up discussion suggestions. 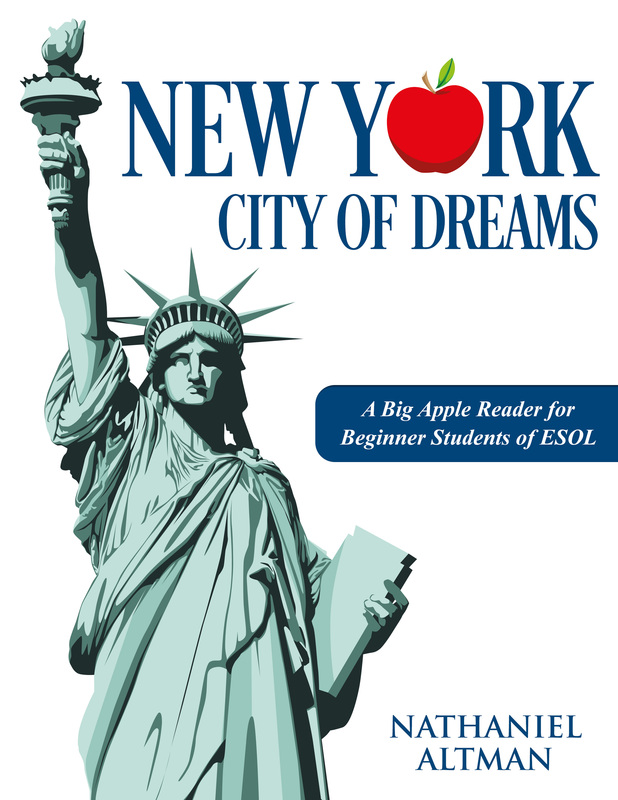 Written by an ESOL teacher who is also a native New Yorker, both New York: City of Dreams and New York: City of Opportunity are part cultural readers, part guidebooks and part vocabulary and conversation textbooks. They offer a unique insider's perspective of the most vibrant, most diverse and most interesting city in the world. Both books are available through Amazon.com in paperback and Kindle editions. Bookstores, schools and libraries can order the paperback editions through Baker & Taylor and other distributors. To learn more, click the book cover image.